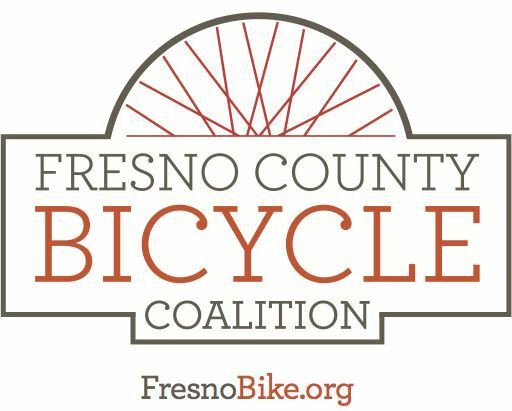 On Sunday, March 9th, 2014 the Merced Bicycle Coalition will be visiting the Fresno County Bicycle Coalition for a group ride in Fresno. 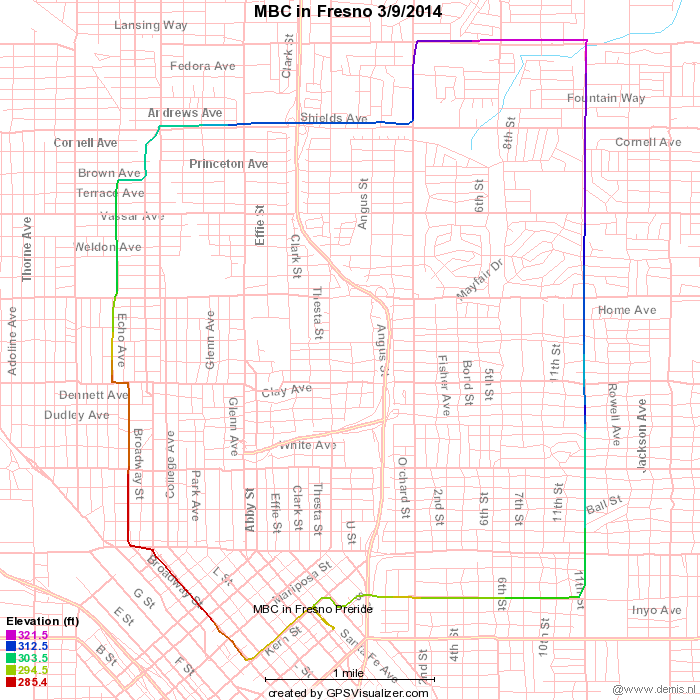 We will start and end in the Santa Fe Parking Lot, right next door to the Amtrak Station in downtown Fresno. Some of the Merced folks will be traveling to Fresno by train. They will arrive on train 702, scheduled to arrive at 9:55 am. The route is about 12 miles. We will be riding Cedar Avenue to check out the upcoming project to add bicycle lanes between Clinton and McKinley. We will also see a wide variety of riding conditions. At Dakota we will head west, giving us an opportunity to ride the bike lanes that were added with the road diet. After a stop at Starbucks, we'll head back downtown on some quieter streets. After lunch we'll fill out the rest of our time until the train leaves with more coffee, more riding, and more hanging out. Approximate tentative route, will be slightly changed by the day of the ride, illustrated below. Click for larger.